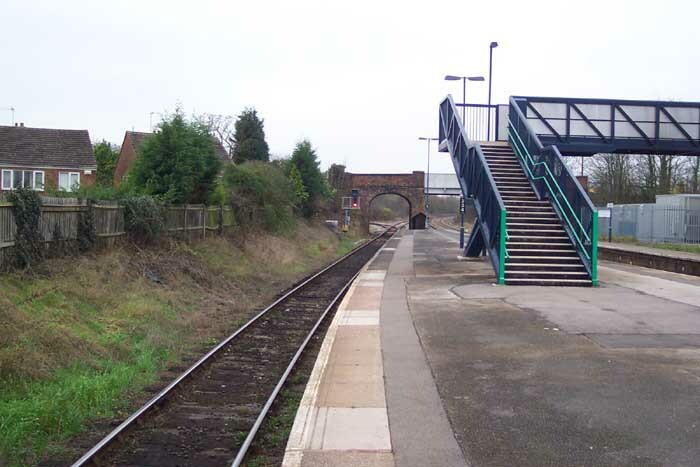 Hatton station opened in 1852 under the GWR and sat on a junction with the Birmingham and Leamington Branch and the Hatton & Stratford Branch. 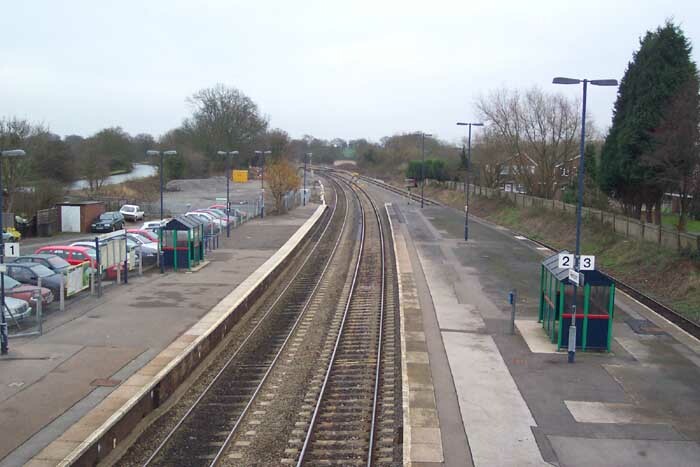 The station today, as is seen below, is a sparse facilty. 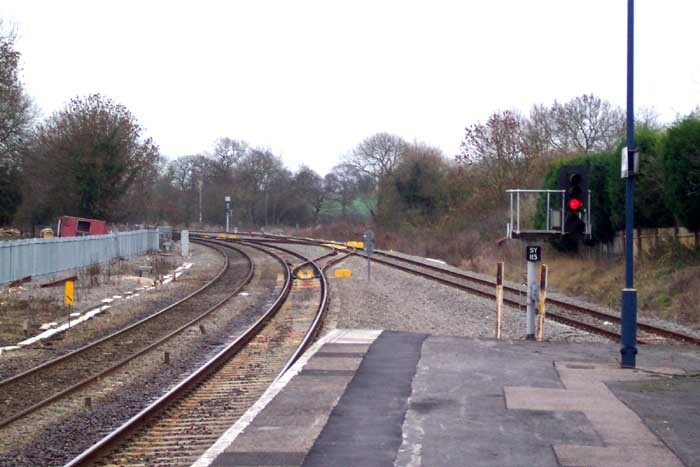 However, this was not always the case - the station has been stripped of all its interesting features and is now, as with many more rural stations, an unstaffed halt. 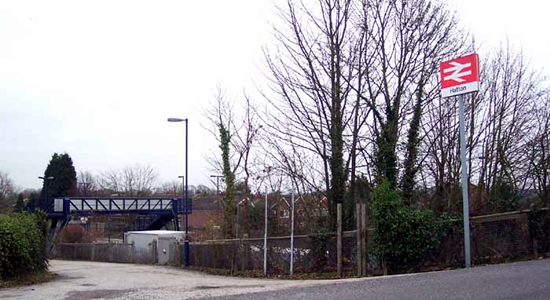 Above we see the entrance to the station/car park on Station Road. 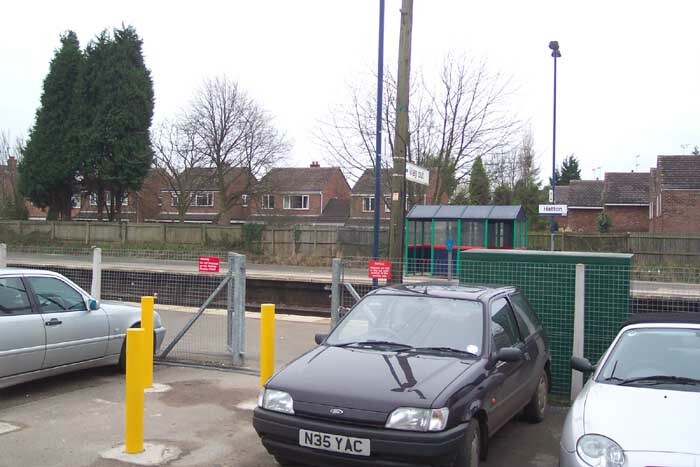 Above-left is the entrance to the station and the Leamington Spa platform from the car park. Originally, this is where the main station building stood which was of a small single-storey design. 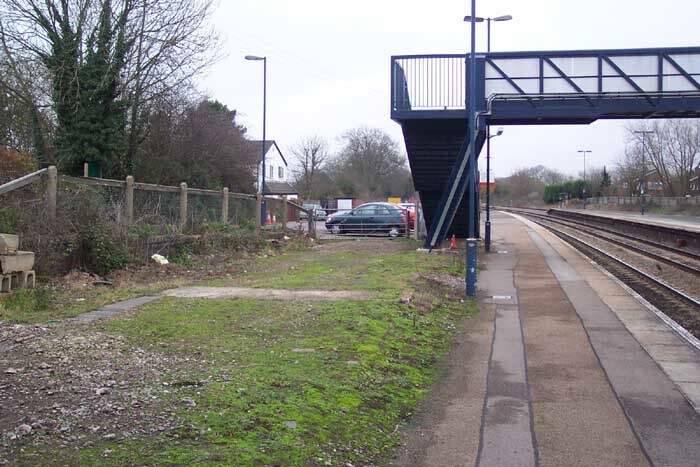 Above-right, we are on the Leamington platform looking back at the car park and the stationmaster's house can just be made out to the left of the car ahead: it is now a private residence. 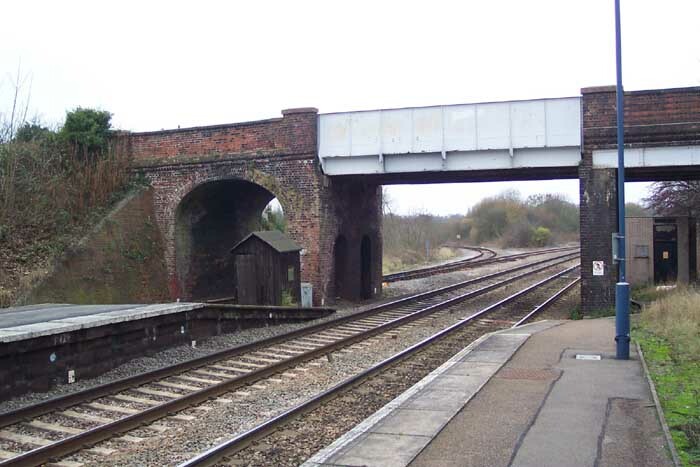 Above-left we get a good view of the Station Road overbridge which is basically two bridges: the single-line through the arch is the line to Stratford with its next stop being Claverdon, and the double tracks are the Birmingham - Leamington lines and in this view we are looking towards Birmingham. Above-right we are on the footbridge looking towards Leamington Spa - the island platform once housed a large single-storey building with typical GWR canopies on either side which have now been replaced by a bus shelter. 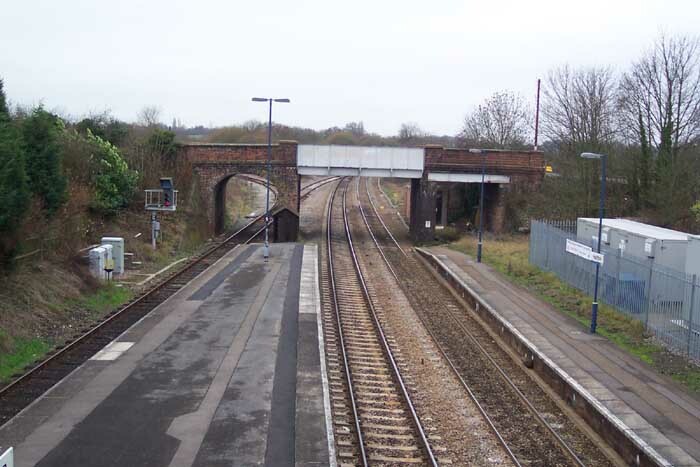 Above-left we are looking at the end of the island platform in the direction of Leamington Spa where once Hatton South signal box stood controlling access to the two branches and goods sidings. Above-right we are in the same spot but looking back along the station platforms towards Birmingham. 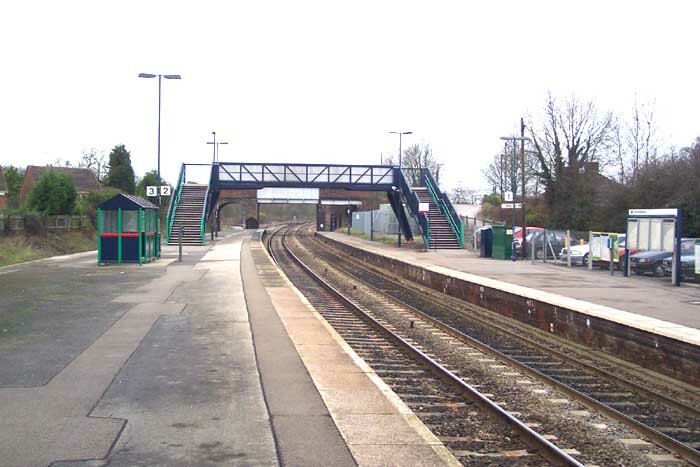 The footbridge is not the original footbridge which was of a covered design. Above-left we are looking along the Stratford side of the island platform as the single track heads under the Station Road overbridge. To the left of the shot you can see some recently built houses which actually stand on the site of a siding. Above-right we are looking towards the Station Road bridge from the footbridge - a signal box once stood directly below this spot on the island platform. This station is interesting to visit providing and earlier shot of the station is viewed previously as there were a considerable amount of interesting structures in and around the site, none of which survive today.